A farmer or grower, often with the assistance of a core group, draws up a budget reflecting the production costs for the year. This includes all salaries, distribution costs, investments for seeds and tools, land payments, taxes, machinery maintenance, etc. The budget is then divided by the number of people the farm will provide for and this determines the cost of each share of the harvest. One share is usually designed to provide the weekly vegetable needs for a family of four. Share prices reflect many variables and average between $300 and $600. Flowers, fruit, meat, honey, eggs and dairy products are also available through some CSA. Community members sign up and purchase their shares, either in a lump sum before the seeds are sown in early spring, or in several installments through-out the growing season. Production expenses are thereby guaranteed and the farmer or grower starts receiving income as soon as work begins. In return for their investment, CSA members receive a bag of fresh, locally-grown, typically organic produce once a week from late spring through early fall, and occasionally throughout the winter in northern climates and year-round in milder zones. Members prefer a wide variety of vegetables and herbs, which encourages integrated cropping and companion planting. These practices help reduce risk factors and give multiple benefits to the soil. Crops are planted in succession in order to provide a continuous weekly supply of mixed vegetables. As crops rotate throughout the season, weekly shares vary by size and types of produce, reflecting local growing seasons and conditions. CSA vary considerably as they are based on farm or garden location, agricultural practices, and specific farm and community goals and needs. Memberships are known to include a variety of community members including low-income families, homeless people, senior citizens, and differently-abled individuals. If provided, an extra fee typically is charged for home delivery. 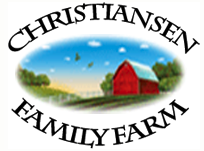 Most CSA invite members to visit the farm and welcome volunteer assistance. Working shares are an option in some cases, whereby a member commits to working two to four hours a week to help the farm in exchange for a discount on membership cost. Apprenticeships are growing in popularity on many CSA. For some farms they are an integral component of a successful operation. Apprenticeships offer valuable hands-on education and train America's future farmers. Property arrangements tend to be quite flexible. In addition to private ownership, some CSA lease land with fees factored in as a regular budget item, and some are part of land trusts which support a local farm. CSA strive for a truly sustainable operation, both economically and environmentally. Many expand over time to provide additional food items such as honey, fruit, meats, eggs, etc., and form networks with other farms to provide a greater range of products. Some CSA provide produce for local restaurants, roadside stands or farmers' markets while developing farm membership, or in many cases, in addition to it. The University of Wisconsin offers information about farmer to farmer networks & their effective grassroots sharing opportunities. Learn about organizations and websites related to CSAs. Click here for an extensive list of resources for operating a CSA farm. When it comes to improving your land and making it productive, the experts at Utah State University Extension are ready to serve and provide researched, time-tested solutions to anyone from the seasoned production farmer to the small-scale producer to the just-moved-out-to-the-countryside landowner. Learn more.